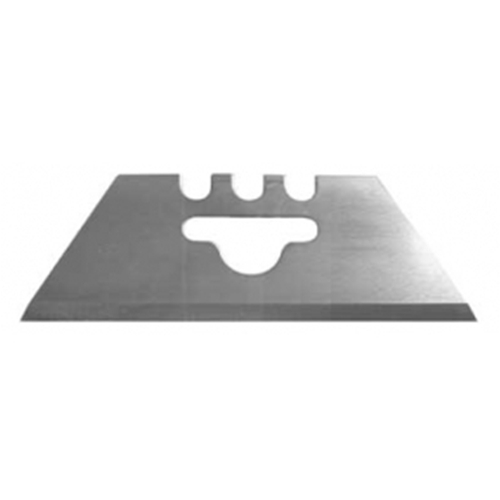 Replacement Heavy Duty straight knife blade. This blade has notches along the top to fit the Stanley style knife and a hole in the center and will fit most utility knives. This is a bulk pack of 100 blades (20 packs of 5 blades).